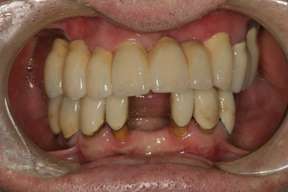 Before: This patient was missing two lower front teeth and back lower teeth on both sides. 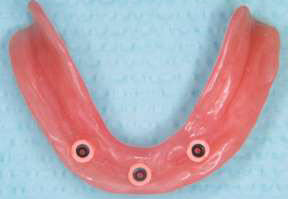 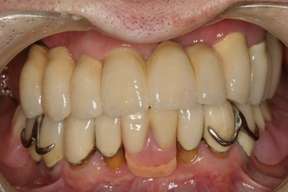 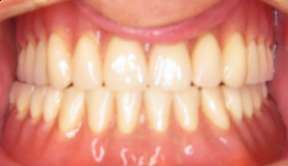 After: A removable partial denture was made to restore the chewing ability that he had lost. 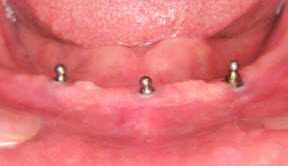 This has been in place for about five years.